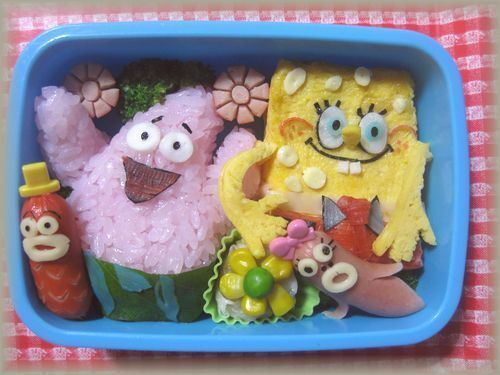 Spongebob Bento (Japanese lunch box). . Wallpaper and background images in the Spongebob Squarepants club. This Spongebob Squarepants fan art might contain دوپہر کے کھانے, ظہرانے, ٹفن, dejeuner, ٹاففان, کلیو, ٹوکری, handbasket, and حندباسکیٹ.